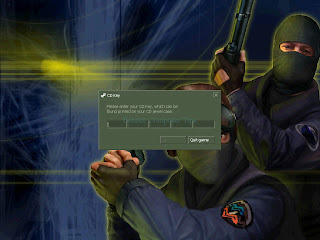 After I have repaired my Windows XP, I have encountered one problem when running Counter Strike v1.6. It keeps prompting me for a CD keys which I don't have because when I install it doesn't ask for a CD key. I have been using it for a month then, only this time I have trouble on it. There's no problem if you have the CD key then you can enter and validate it directly. Note, if you encounter such problem just do my simple tips on how I have successfully solved it. 3. Then, if you have found it double click on the file. 4. A message ask you if you are sure to add the information in the registry. Just choose yes. 5. Now, close everything and run Counter Strike. Works right? your done.